Monaco midfielder Fabinho is close to signing for Manchester City ahead of bitter their better inter-city rivals. Fabinho has been a vital part of Monaco’s success this season, but is now very close to making a switch to the Etihad, according to the report from the Barcelona-based journalist Gerard Romero, who had also revealed City’s significant signings this season, including the likes of Nolito, Leroy Sane, and John Stones, before City had officially announced them. Pep Guardiola is out in the market to replace Yaya Toure, and the Brazilian seems to be a perfect fit for City. Guardiola has had midfield issues since his arrival at the Etihad, and with his passing and forward-thinking philosophy, it’s been hard for the City boss to get things going. However, with Fabinho’s signature, things would get in line for the Spanish coach, who is ahead of rivals Manchester United in signing the young midfielder. 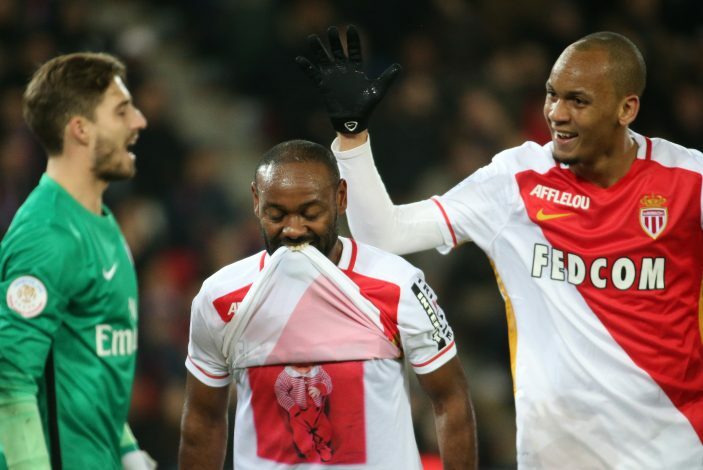 Fabinho is one of Leonardo Jardim’s many stars who is expected to make a move away from Monaco this season, and back in February, the Brazilian’s father had told Telefoot (via Sky Sports) about having a soft spot for City. “We like Manchester United & Mourinho’s work, but we have a soft spot for Manchester City,” he had stated. Nonetheless, Fabinho has a contract with the French outfit until 2021, and will therefore cost City around £25 million, which does not looks to be a serious problem given City’s financial track record in recent years. Thomas Lemar, Kylian Mbappe, Bernardo Silva, Tiemoue Bakayoko, and Benjamin Mendy are all linked with exits, and as it appears, Monaco’s exciting young team is likely to be torn apart this summer.